Are you trying to lose weight with no success? We get it. The process can be frustrating at times as well as confusing — there are so many myths and bits of misinformation floating about. Often you just need to make a few changes to your lifestyle to offer big results, but which ones are for you? To help sort this out, we asked registered dietitians to share the biggest mistakes they see their clients making when trying to losing body fat. You can learn from other people's mistakes. Take this advice to heart and know that slow and steady wins the race. Extreme dieting usually involves overexercising and extreme calorie restriction — you never want to dip below 1,200 calories per day. Registered dietitian Leslie Langevin, MS, RD, CD, of Whole Health Nutrition, says "cutting out too much" isn't sustainable. Find a nourishing, simple (yet delicious) way of eating that offers you enough calories, nutrients, and energy to live a healthy, happy life, whether that's by eating a plant-based diet, going Mediterranean, or following another nutritious eating plan. 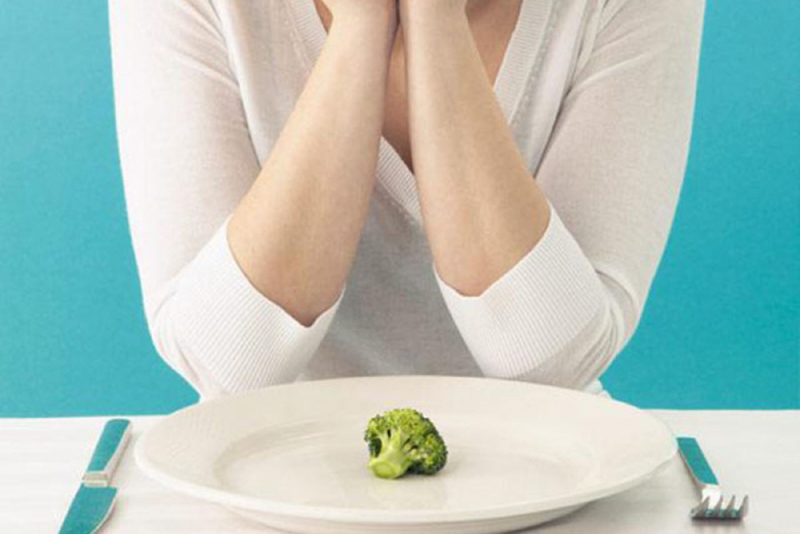 Saying no to bread, chocolate, cookies, or french fries can be downright depressing. Since including these foods in small amounts on a regular basis can help prevent an urge to go overboard later, registered dietitians Stephanie Clarke, RD, and Willow Jarosh, RD, of C&J Nutrition encourage clients to have a "treat bank" of 150 to 200 calories each day. 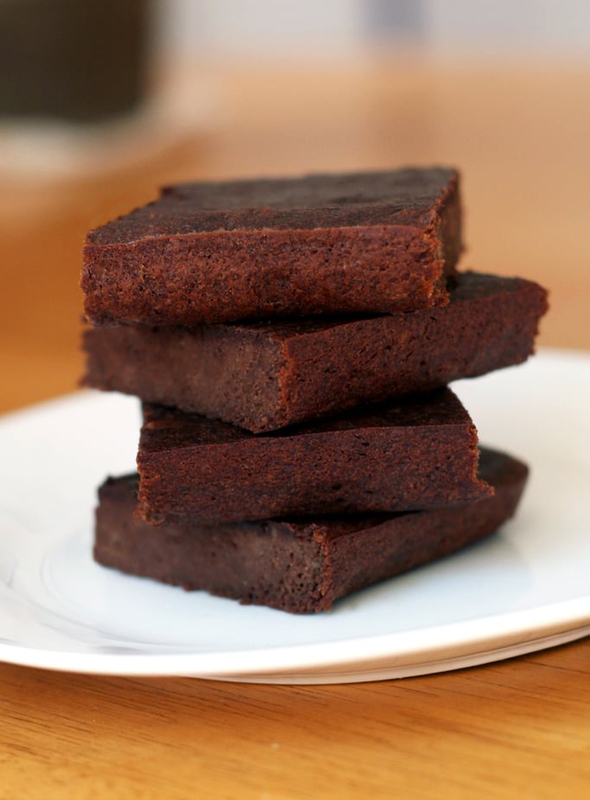 Or find healthier ways to indulge — these three-ingredient healthy brownies are 141 calories! While you shouldn't swear off sweets forever, the typical Western diet tends to be high in sugar, refined carbohydrates, and processed food. It's not just the empty calories you need to worry about; it's how these foods affect your insulin. Jason Fung, MD, a nephrologist (kidney specialist), explained that processed carbs and sugary foods such as ice cream, cookies, muffins, crackers, bagels, and white bread spike your insulin levels, which can causes weight gain. Aside from being high in carbs and calories, these foods don't offer your body any nutrition, so you end up feeling hungry, which makes you eat more. Eating sugary foods also increases your cravings for them, another contributor to overeating. 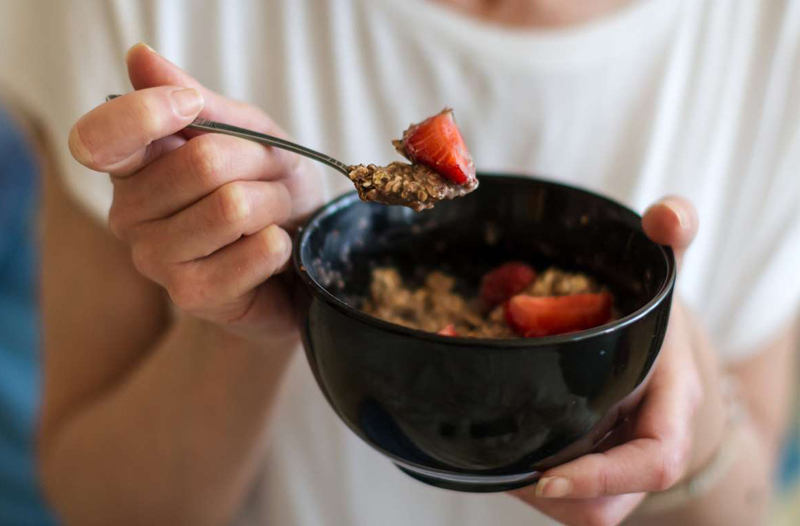 Every bite, taste, spoonful, and handful adds up, so if you're not keeping track of your daily calorie intake, it's easy to go over. 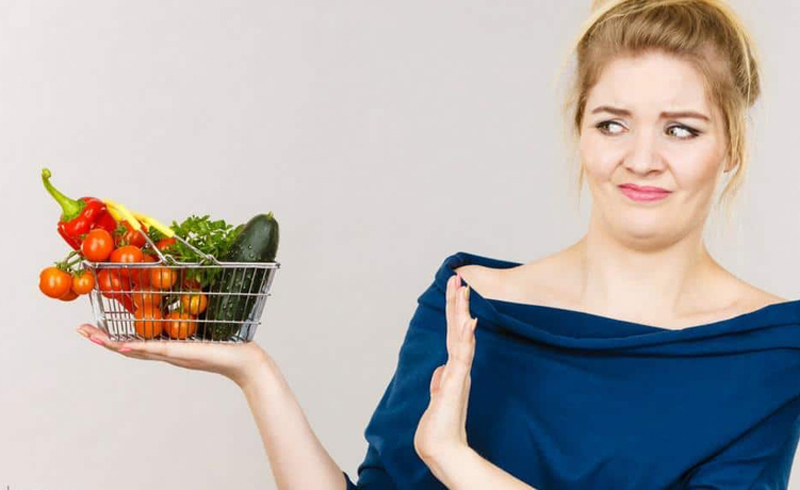 Follow a diet with appropriate calories for your needs, because eating too much can lead to greater fat deposits, explained Seattle-based registered dietitian nutritionist and Arivale coach Ginger Hultin, MS, CSO. Figure out your daily calorie needs either by meeting with a dietitian or by using this formula. Measure and weigh your food and track your intake by writing it down in a food journal or by using an app like MyFitnessPal. Once you get in the habit, you will start to understand portion size better, too. 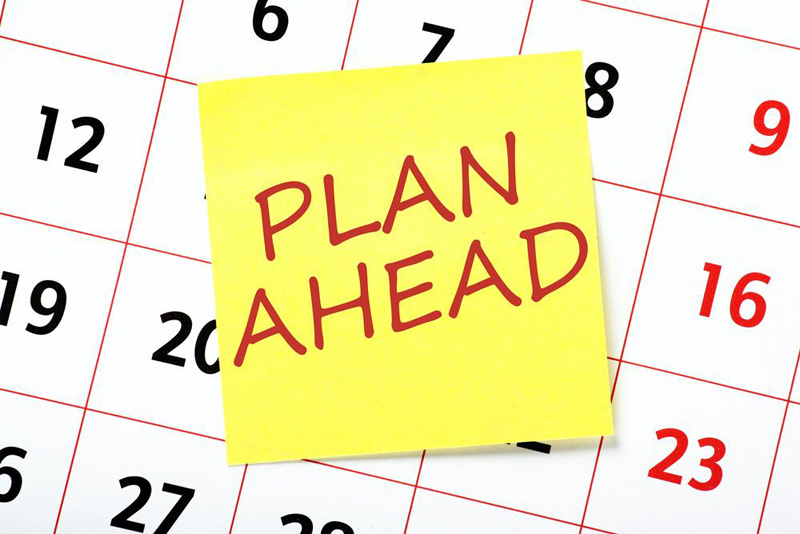 Stephanie Clarke also recommends planning ahead as much as possible, because when hunger strikes and you're not prepared, that's when unhealthy decisions are made (hello, cookies for lunch!). At the beginning of the week, plan out your meals and snacks, then hit the grocery store to stock up on everything you need from eggs to veggies to the containers you need to make a week of salads. It means that you'll have the food you want to eat on hand when you want to eat it, "which is the key for sticking to healthy eating for the long term," Stephanie said. While carb-free, high-protein diets do offer results, Willow, of C&J Nutrition added, it's not sustainable or healthy for the long term, as you're missing out on vital nutrients from fruits, veggies, beans, nuts, seeds, and whole grains. This variety of healthy foods "helps keep your gut bacteria happy and your digestive system regular and keeps you feeling satisfied." 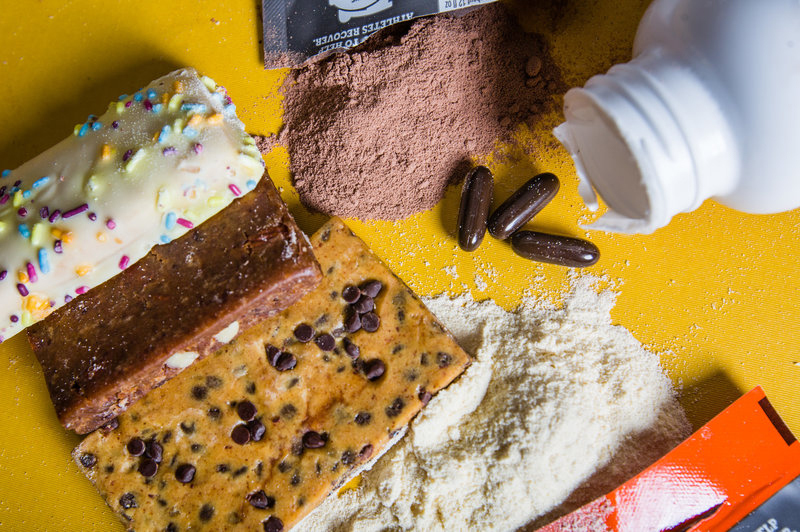 So you don't want to be downing protein smoothies all day. Registered dietitian and personal trainer Jim White, ACSM, told POPSUGAR that the standard dietary reference for protein intake is approximately 0.8 to 1.2 grams of protein per kilograms of bodyweight. So on the contrary, not getting enough protein can also cause weight gain, since protein helps you to stay satisfied. 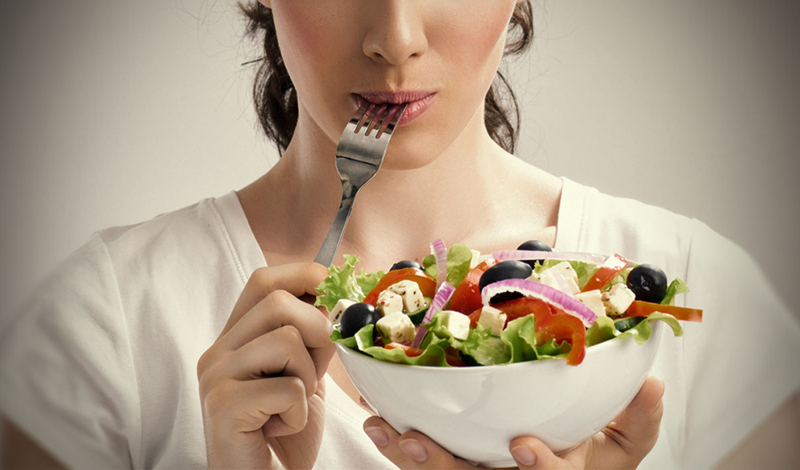 If you're worried about getting enough, aim to eat it at every meal and snack. Working out just so you can eat more, or eating a ton and "punishing" yourself with a grueling workout to burn it all off not only promotes an unhealthy relationship with food, but it can also lead to weight gain, warns Stephanie. 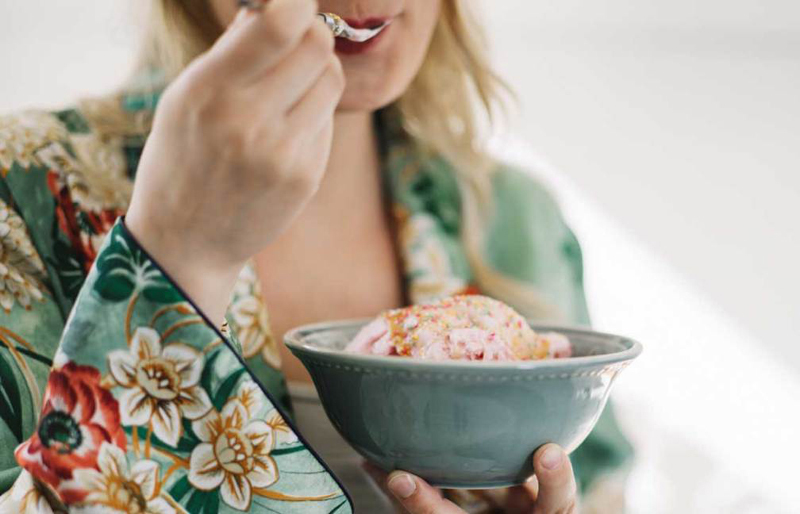 A 30-minute run only burns about 250 calories, so if you devour 300 calories worth of dessert, it's no wonder you're not losing any weight and actually gaining instead. Use workouts to complement your healthy diet, not to make up for unhealthy eating habits. 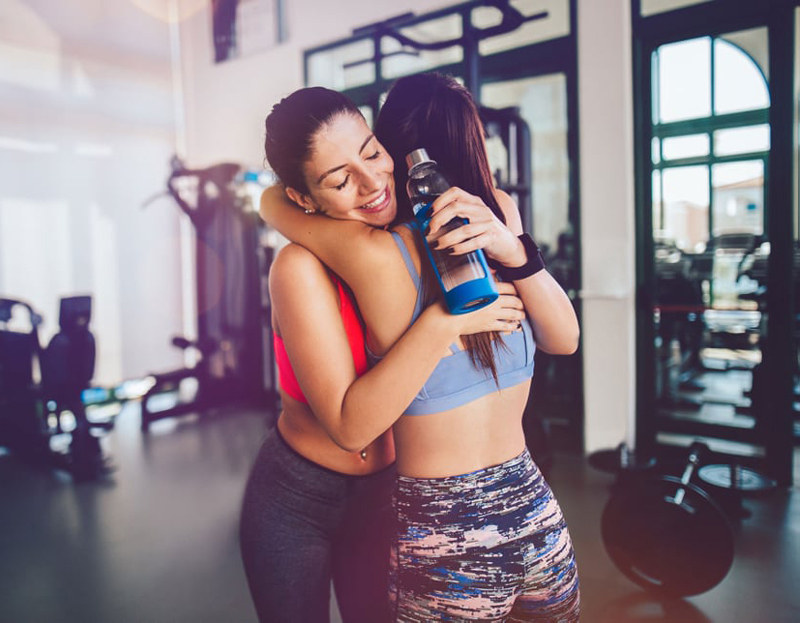 Having the support of everyone around you will make it much easier to stay on track with your a weight-loss goals, so don't go at it alone! Willow suggests telling your family, friends, gym buddies, and co-workers that you're trying to lose weight, so instead of suggesting going out for ice cream after work, they'll invite you for a predinner workout. They'll keep you fired up about your goals, and be there to celebrate when you conquer them. Drastically reducing your daily calorie intake seems like the simplest and easiest way to lose weight, which is why many people try it. 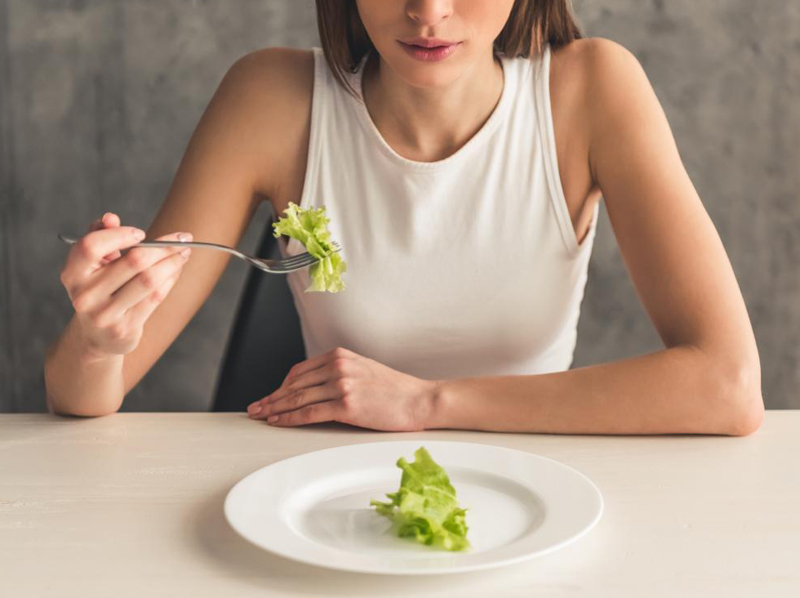 "While calorie deficit is a must for weight loss," registered dietitian Lisa Bunn, director of nutrition at the Genavix Wellness Network, said, "The nuance is that we don't want it to be too much of a deficit." Without enough food for survival (including our normal daily functions), your body will send signals to conserve calories, slowing down your metabolism. Your body will then choose to get its energy from a more efficient source than our fat stores — our muscles. The American College of Sports Medicine recommends that women should eat at least 1,200 calories per day, and men should eat at least 1,800. Your kale salads and HIIT workouts are on point all week, so when the weekend rolls around, you deserve a little reward, right? Not so fast. "One cheat day can undo all the weight-loss work you've put in during the week," warns Willow. If you devote an entire day to eating foods that don't push you toward your goal, "the only person you're cheating is yourself . . . and that's not good in the short term or long term." Plus, a cheat day can easily turn into a few cheat days, making it harder to get back on track. Instead, stick to the one small treat each day to satisfy your cravings, and you shouldn't need a whole day to let loose. It also helps to make sure the healthy foods you're eating are enjoyable. Take a healthy cooking class, order a plant-based cookbook — get excited about the healthy meals you're eating, and you'll be loving your food so much, you won't need a "cheat day." "Water intake is, I believe, one of the best weight-loss tips that you can do," Fitness trainer Bob Harper said in an Instagram video as part of a series he calls #TwoCupsIn. Since thirst is often mistaken for hunger, it's important to stay hydrated throughout your day. It will help keep energy levels up and prevent headaches, which can be reasons people reach for extra snacks, which leads to weight gain. Registered dietitian and co-creator of Beachbody's 2B Mindset nutrition program Ilana Muhlstein, MS, RDN, agrees and encourages drinking water with meals. "Rather than food right away, I recommend that each meal start with drinking water first," she said. 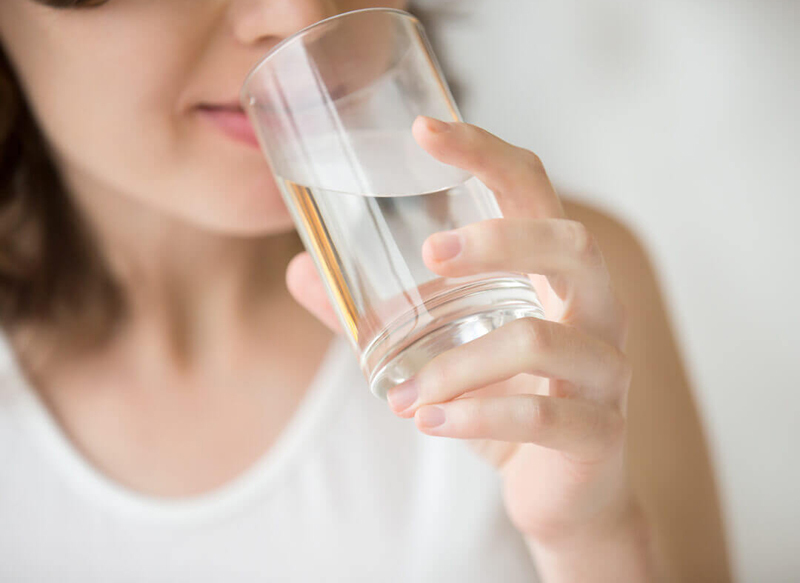 Aim to drink 16 ounces of water before reaching for your first bite of food. 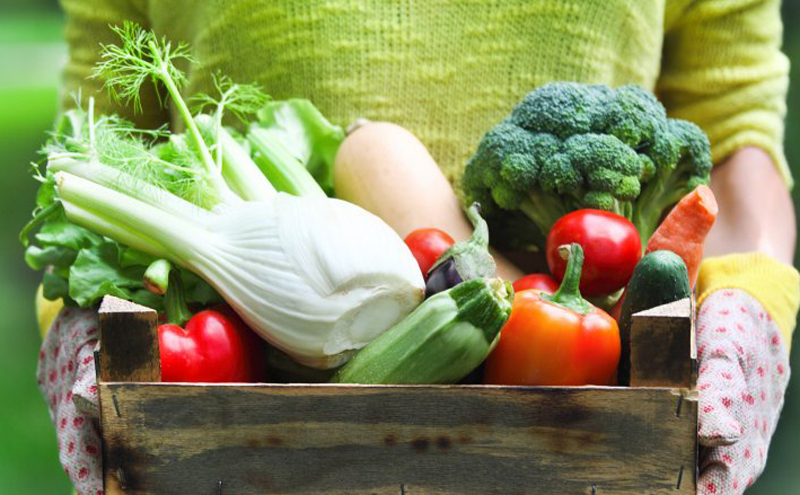 Vegetables are the food group you want to be filling up on the most. "They are high in volume and weight and fill up our stomachs, which helps us register the feeling of fullness," Ilana said. Stephanie and Willow agree and say that veggies are also high in fiber, so they'll satiate your hunger longer, helping you consume fewer daily calories. Leslie adds that veggies aren't just for dinner! She said to include veggies in every single meal and snack. During breakfast, throw greens or beans in fruit smoothies or add spinach to overnight oats or zucchini to oatmeal. For lunch, make a week of mason jar salads to ensure you get a daily salad. And for dinner, make sure your plate is half filled with veggies like cauliflower rice or roasted sweet potato. Seems like you're saving calories, but this is detrimental to weight loss for a number of reasons. Willow reminds us that "drinking on an empty stomach can lead to quicker intoxication," so even if you planned to just enjoy a few drinks, you'll end up losing the ability to make healthy choices and are more likely to order tons of food off the bar menu! Or even if the calories level out because you skipped dinner, you'll still have missed out on valuable nutrients, dropping your blood sugar levels. The result? Hunger coupled with the effects of alcohol will quickly nix that trip to the gym you planned. If you do enjoy your drinks with a meal, don't forget they add hundreds of calories without making you feel satisfied. 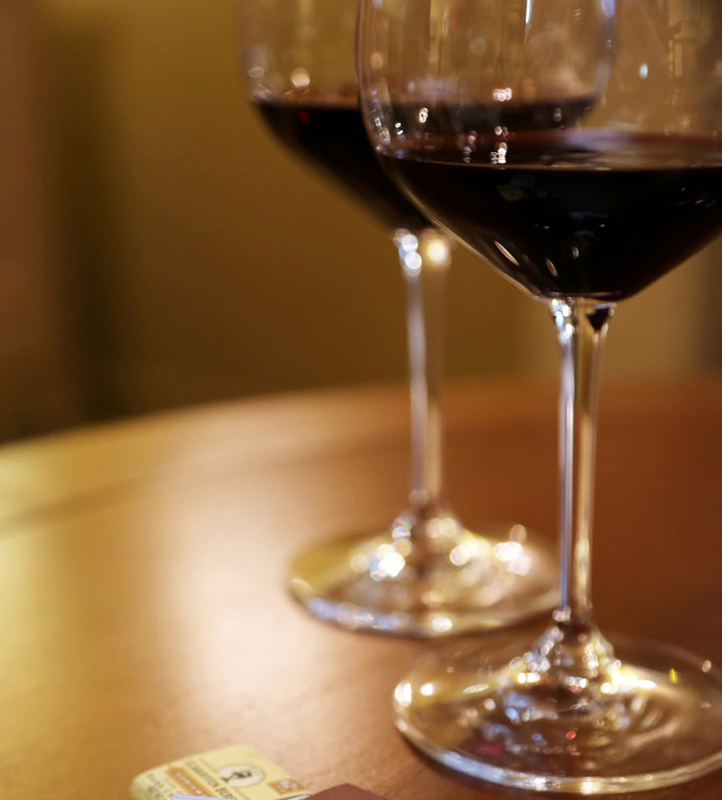 "Excessive alcohol will cause the liver to stop metabolizing fat and carbohydrates in order to get the alcohol metabolized first," Vermont-based registered dietitian nutritionist Maddie Kinzly MS, LD, told POPSUGAR. This leads to the storage of more fat in your body (and your belly). The bottom line is to limit calories from beverages, and if you do go out for happy hour, enjoy one drink and spend the rest of the time sipping water. Marketing convinces us that "diet" foods (like diet soda) work — after all, the lady in the advertisement looks great! You may lose weight initially, but there are some not-so-good long-term effects. Lisa warns that "diet" foods tend to be more expensive and, more importantly, our body doesn't recognize them as food. "When we eat something that isn't recognized as food our body sends inflammatory signals to that site in order to fix the perceived problem. Much like when you sprain your ankle and it swells up, if you replace whole foods with artificial stuff, this can lead to increased inflammation in your intestines and across your whole body," Lisa says. 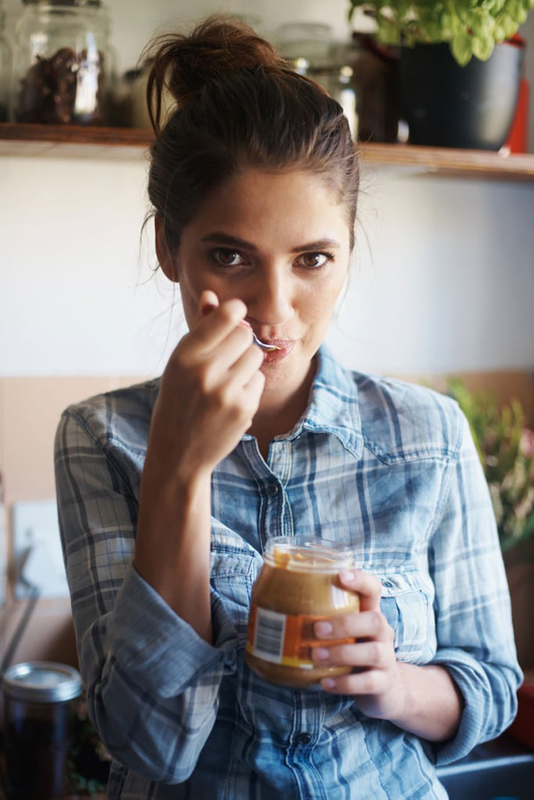 "Fat-free" peanut butter, as well as "sugar-free" cookies and ice cream may have fewer calories, but you'll find chemicals and extra salt and sugar to make up for the flavor. Willow points out that a recent study showed that we might not feel as satisfied with these low-everything diet foods since you're not giving your body the nutrition it craves, which could cause us to end up eating more in the long run. This means eating these foods can actually cause weight gain, so skip them and go for whole, all-natural foods instead.